Really tall, geeky girls (who don’t quite look like supermodels) have rather few fictional characters we can relate too. If you don’t feel comfortable (out in public) in a leotard or bikini, the cos-play characters of choice often are male and robots. Many of us LIKE armor, swords and helmets, but you only want to be dressed up in “girl” versions of male characters so often. So when I found out Gwendoline Christie was the Chrome Stormtrooper, I danced a little dance of joy…. And in case you are wondering, there is definitely a chrome stormtrooper costume for me in the future. 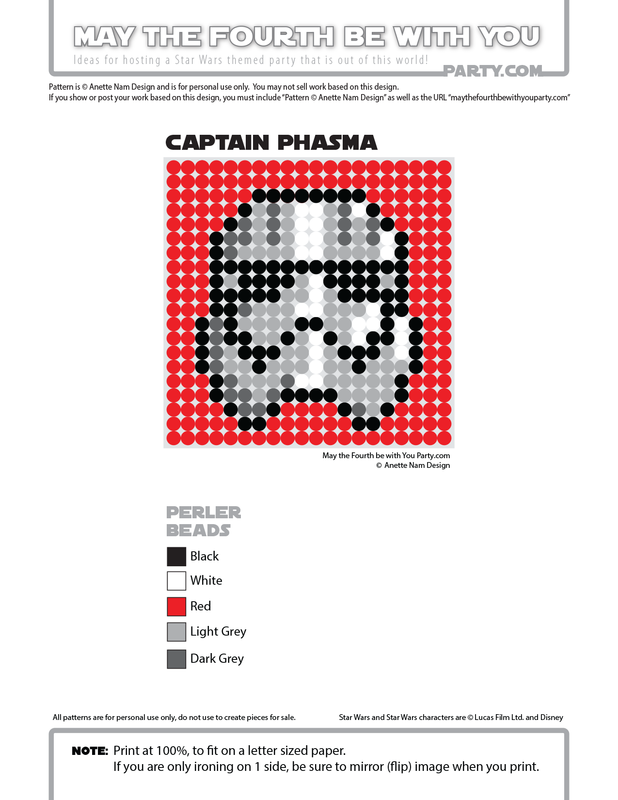 Until I get a chance to make one of those, here is the sixth of our TFA patterns, and #35 in the Perler bead/cross stitch/Lego/pixel/mosaic series.